It looks a little like a cross between a giant automated vacuum cleaner and an aircraft tug and it is called Vera. Why it is called Vera? Well Volvo tells us there name Vera means ‘Faith’ or possibly because it is a nice gentle old school name that will put people at ease when it comes to the often controversial subject of autonomous trucks. Volvo unveiled its revolutionary truck concept in Gothenburg recently, perhaps signalling a new transport solution with autonomous electric commercial vehicles that it says could contribute to more efficient, safer and cleaner transportation. Volvo says the long-term goal is to offer companies that need continuous transport services between fixed hubs a complement to today’s offerings. The company says that growing world population and increasing urbanisation are leading to significant challenges to solve environmental issues such as congestion, pollution and noise. It goes on to say that rising consumption, the fast growth of e-commerce and the wide-spread shortage of drivers has put higher demands on efficient transport solutions. Claes Nilsson, the global president of Volvo Trucks says that thefull potential ofthetransport industry is yet to be seen. “Everything suggests that the global need for transportation will continue to significantly increase in the coming decade,” said Nilsson. “If we are to meet this demand in a sustainable and efficient way, we must find new solutions.In order to secure a smoothly functioning goods flow system we also need to exploit existing infrastructure better than currently,” he said. “The transport system we are developing can be an important compliment to today’s solutions and can help meet many of the challenges faced by society, transport companies and transport buyers,” he added. Volvo says its future transport solution is intended to be used for regular and repetitive tasks characterised by relatively short distances, large volumes of goods and high delivery precision. The company says that transports between logistic hubs are typical examples, but additional use cases can also be applicable. Volvo Group Australia’s newly appointed president and CEO Martin Merrick commented on the announcement by saying that the future innovation is part of the DNA of Volvo Trucks, as demonstrated by the launch of this new transport solution. “This is a new type of transport solution not seen before, which offers future promise in particular applications such as repetitive transports or for operations between fixed hubs,” said Merrick. 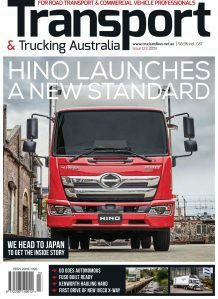 “It is designed to complement existing solutions in transport, and as such its future implementation in Australia could potentially occur in certain applications such as private roads found in ports or in some mines,” the new CEO added. 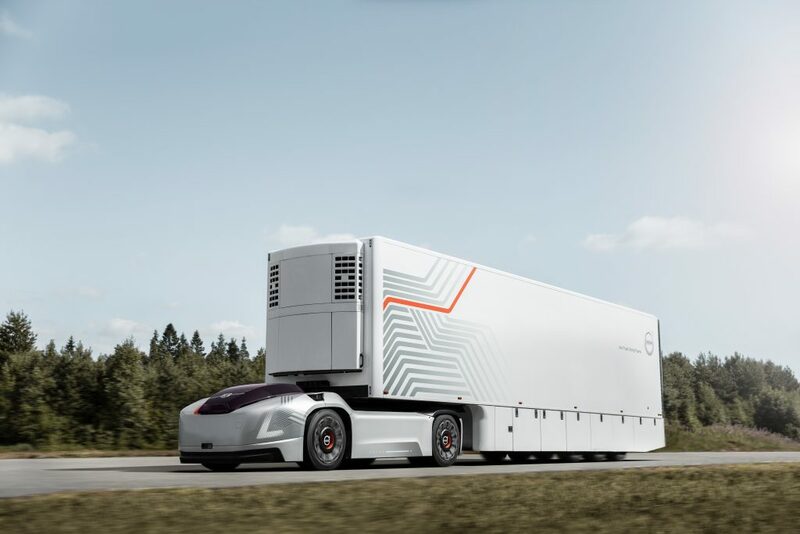 Mikael Karlsson, vice president for Volvo’s Autonomous Solutions said the new system can be seen as an extension of the advanced logistics solutions that many industries already apply today. “Since we use autonomous vehicles with no exhaust emissions and low noise, their operation can take place at any time of day or night,” said Karlsson. “The solution utilises existing road infrastructure and load carriers, making it easier to recoup costs and allowing for integration with existing operations,” he explained. Volvo says the operation is handled by autonomous electric vehicles linked to a cloud service and a transport control centre. The vehicles are equipped with sophisticated systems for autonomous driving. They are designed to locate their current position to within centimetres, monitor in detail and analyse what is happening with other road users, and then respond with high accuracy. The transport control centre continuously monitors the progress of the transport and keeps an accurate watch of each vehicle’s position, the batteries’ charge, load content, service requirements and a number of other parameters. As with an industrial production process, speed and progress are tailored to avoid unnecessary waiting and to increase delivery precision.In this way it will be possible to minimise waste in the form of buffer stocks, and increase availability. Vehicles that operateon the same route cooperate to create optimal flow. Volvo wraps up the statement by saying that in the near future,its transport solution will be further developed together with selected customers in prioritised applications.